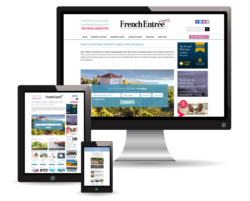 It applies to anyone living or intending to live in France as well as second home owners wishing to permanently maintain a vehicle at their French property. 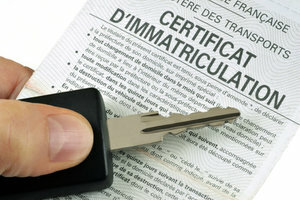 Once the vehicle has arrived in France, you must register it and obtain a Carte Grise (Certificat d’Immatriculation). You are allowed one month in which to obtain the carte grise or four months if your vehicle requires a single vehicle approval inspection. In the case of a trailer/caravan, if its gross weight is under 500kg then it does not need to be registered and it only needs to display the number plate of the towing vehicle. Proof of address, eg utility bill. Vehicle registration document (or export certificate if the registration document has been retained by the original issuing authority). Import tax certificate – If your vehicle is currently registered in another EU member state, then you will need a ‘quittus fiscal’ which you can obtain from your local tax office on production of the vehicle registration document and proof of address. If the vehicle is being imported from outside the EU, then instead, you will need the 846A certificate which you will already have obtained from French Customs. Not required for trailers. NOTE: New vehicles. VAT rules require that a new vehicle is taxed in the country in which it is to be registered. Thus if you import a new car (less than 6 months/6000km old), then VAT is due in France. It should therefore be bought VAT free in the country of purchase to avoid paying VAT twice and having to try and reclaim it from the country of origin. Contrôle Technique certificate – required for motor vehicles over four years old (not required for motorcycles or trailers). Although not universally enforced, it is a requirement to produce a Certificate of Conformity to obtain a CT, unless there is sufficient information on the existing registration certificate to suffice. Note: It is now possible to import a vehicle over 4 years of age without the need for a Controle Technique if the current vehicle road worthiness certificate (M.O.T.) is less than six months old at the time of registration. 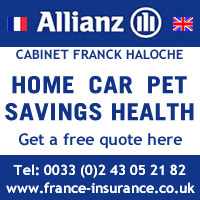 In this case, just as in the case of a newer vehicle not yet requiring a CT, the owner must ensure that the vehicle complies with all French traffic legislation (headlights, etc, etc.). Finally, if the vehicle was registered in the UK, you must notify the DVLA that the vehicle has been permanently exported by sending them the tear-off export slip from the V5C registration document. Availability is dependent upon the type and age of your vehicle/trailer. then you obtain an ‘EU certificate of conformity’ from the manufacturer/importer’s head office in the country where the vehicle is currently registered. Since 2016 the situation for motorcycles is that unless fitted with ABS, it is a legal requirement that they are limited to 106 bhp, and thus the owner must take the necessary steps to restrict the power. It will also be necessary to ensure the correct headlamp and speedometer reading in KPH are fitted. Note: some préfectures will now accept the EU type approval number shown on the vehicle registration document instead, but as the practice is not yet uniformly applied, you would need to verify this with your own préfecture. then you obtain an ‘attestation d’identification’ from the manufacturer/importer’s French head office. For motorcycles, the importer will also require a dealer letter confirming that the engine output is below 106bhp and that the headlamp and speedometer are configured for use in France. then you will need to submit it for a DREAL single vehicle approval inspection, provide certain technical documentation and, in some cases, submit the vehicle for additional tests before your vehicle/trailer can be approved. The conformity certificate (procès-verbal de titre isolé) is issued by the DREAL after completion of the inspection. The above information relates to a pre-Brexit environment which is likely to remain unchanged for at least 2 years after the UK has triggered Article 50 but may change thereafter. Did you ever find the designated place?